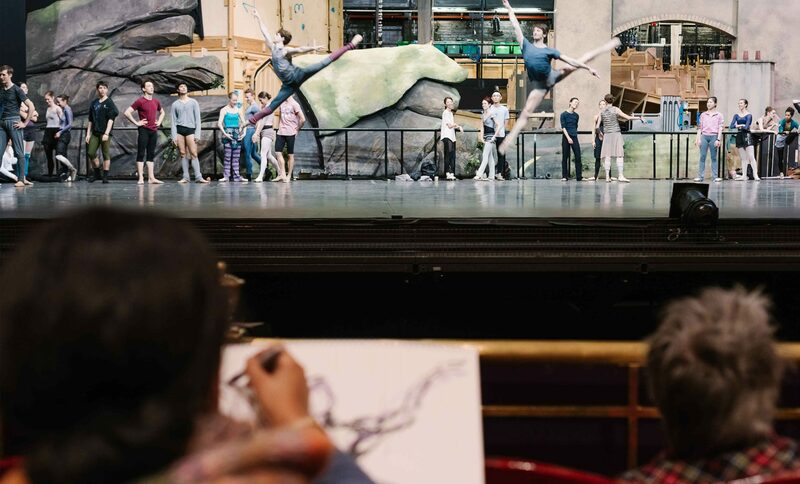 Join us in a rare opportunity to observe and sketch our dancers during their daily ballet class. Be inspired by the figure in motion, learn to capture dynamic movement on paper, then translate your drawings into experimental sculpture maquettes in wire and soft modelling materials. In this four-part course, delivered in partnership with CityLit, you will be introduced to strategies for fast sketching to enable you to gather visual notes focusing on the sculptural forms of the moving figure. Further stimulation of ideas how to interpret your drawings three-dimensionally will come from how sculptors have investigated and executed a dynamic fluid form in space and the various sculptural techniques and materials to achieve this from Rodin to Tony Cragg. This course is suitable for all levels however, some life drawing and sculptural experience would be helpful.